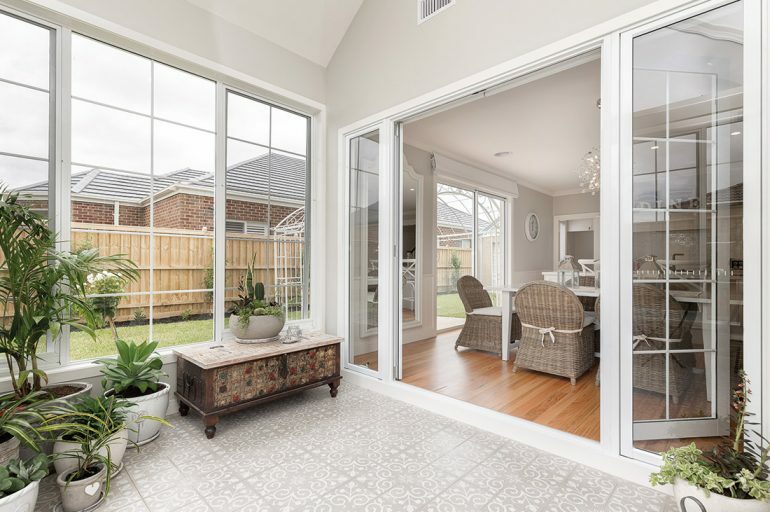 Take a look into a recent feature project, where we collaborated with Smart Homes to deliver a custom glass conservatory for a showcase display home. Finding the perfect home can be a real challenge. At least, it used to be. 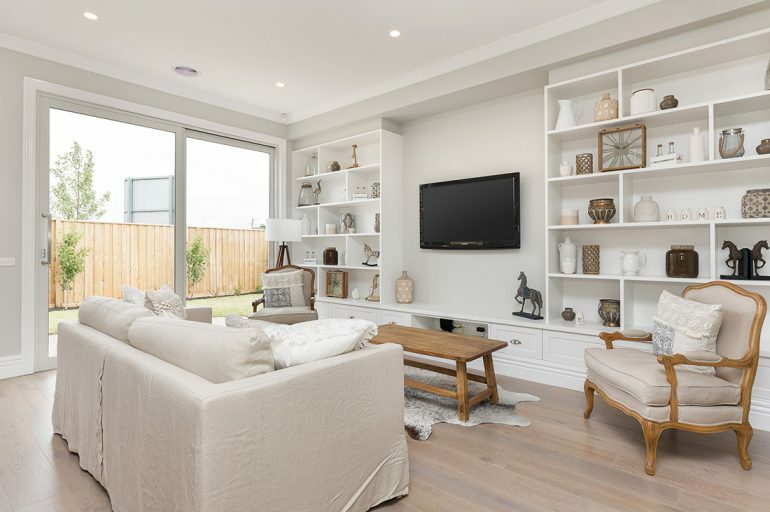 It’s not too difficult when you’re dealing with Smart Homes one of Australia’s longest-established and most-experienced custom home builders. Smart Homes specialise in building dream homes. And a large part of their approach involves dreaming up and then designing and developing exciting new features. It’s all about premium inclusions to keep every home unique. We recently collaborated with the team to bring two showcase properties to life at the new Clydevale estate, south east of Melbourne. The whole process was captured on an upcoming episode of 7TWO’s ‘Before & After’, and we spoke to Travis from Smart Homes to get the inside scoop on how everything came together. 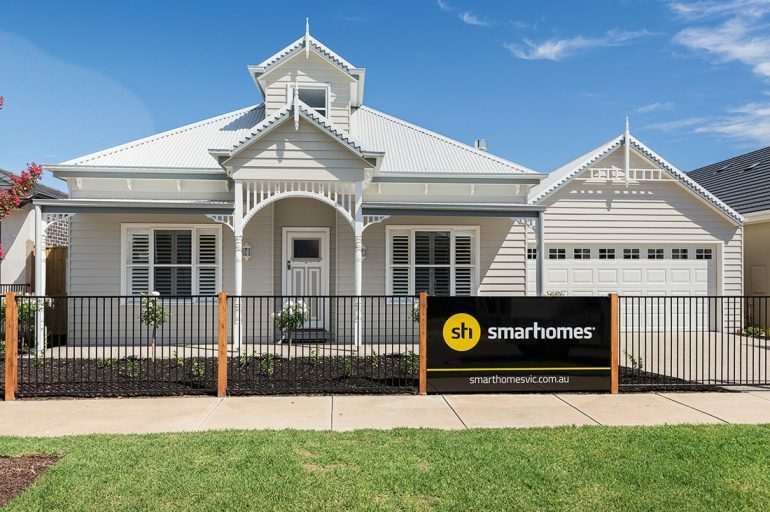 There are two Smart Homes display properties at the Clydevale estate; the ‘Laila’ and the ‘Jack’. The ‘Jack’ home is inspired by the Hollywood regency era, featuring columns, rusticated renders, and an understated Hamptons styling, while the weatherboard façade of the ‘Laila’ takes style cues from Edwardian federation. The front façade of the ‘Jack’ display home. 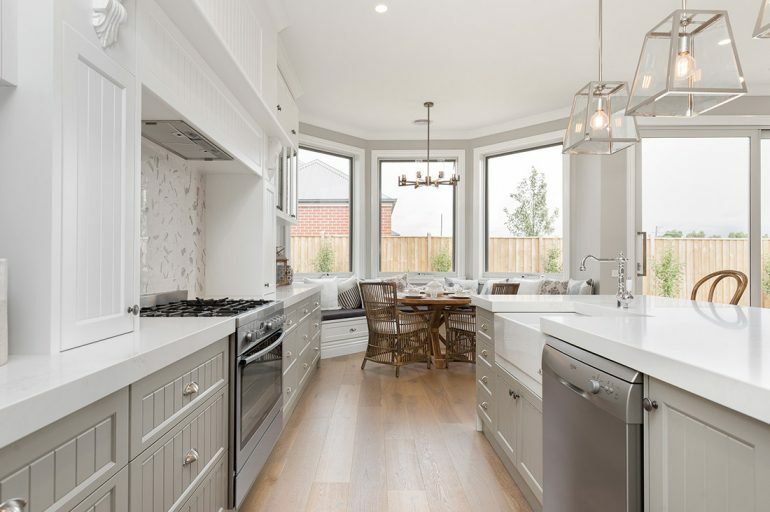 Some of those custom options include an upstairs loft, heightened ceilings, fireplaces, and bay window stylings. But the undoubted showcase piece is the Laila home’s glass conservatory. The front facade of the ‘Laila’ home at Clydevale. So how do you make the ‘Swiss army knife’ of display homes look even sharper? And that’s where we stepped in. Looking across the dining room into the entrance of the conservatory. The view from inside the conservatory. Both homes feature a number of A&L products beyond the conservatory, including Boutique Aluminium Sliding Doors. Like the glass conservatory itself, the success of our role in the Clydevale project was based on transparency and openness. While the conservatory is a showcase feature, our involvement didn’t stop there. There are a range of A&L products used in both homes, and multiple highlight features throughout both the ‘Jack’ and ‘Laila’. Many of the solutions create the classic French, or provincial, aesthetic. Although that’s typically achieved with timber, aluminium offers the same style with impressive durability and low maintenance. 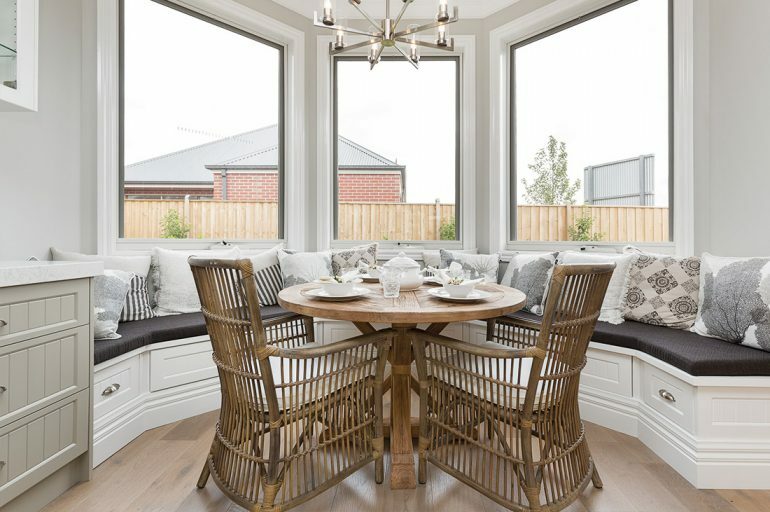 The ‘Jack’ home features bay windows to create a breakfast nook and family space. 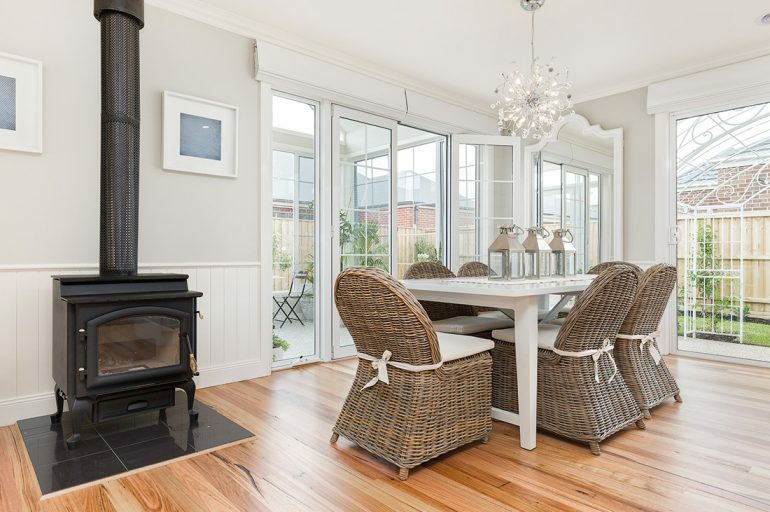 While the ‘Laila’ has the custom built conservatory, the ‘Jack’ home features bay windows to create a family space set aside from the kitchen. Viewing the bay windows and breakfast nook from the kitchen area. With the project complete and the Smart Homes episode of ‘Before & After’ airing soon, we’re excited to continue working together. If you’re keen to learn more about the Clydevale project, keep an eye on 7TWO between late March and early April for screenings of the episode. 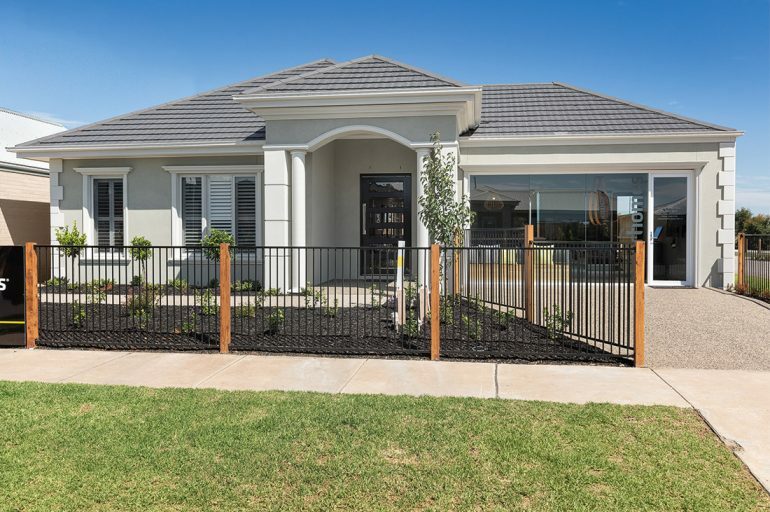 Alternatively, you can take a virtual tour of each display home. Otherwise, look out for more collaboration between our team and Smart Homes in the future, or get in touch if you’ve got an exciting project of your own.